As a note, I did go ahead and install the original bearings, and they line up perfectly. Never mind the scratches. they have been all floating around in a ziplock bag. I had to go with clevite rod bearings on my last two builds (3.6 and 2.4) as the clyco bearings originally ordered had issues. don't remember where they were made. mains were fine. They will either send another set to me, or I can upgrade to Clevite 77. Leaning toward the Clevites. On the forums, of course you only hear about the instances of quality problems. You don't hear about the 100's of sets sold every year of Glyco's that work just fine. As a note, I did go ahead and install the original bearings, and they line up perfectly. Never mind the scratches. 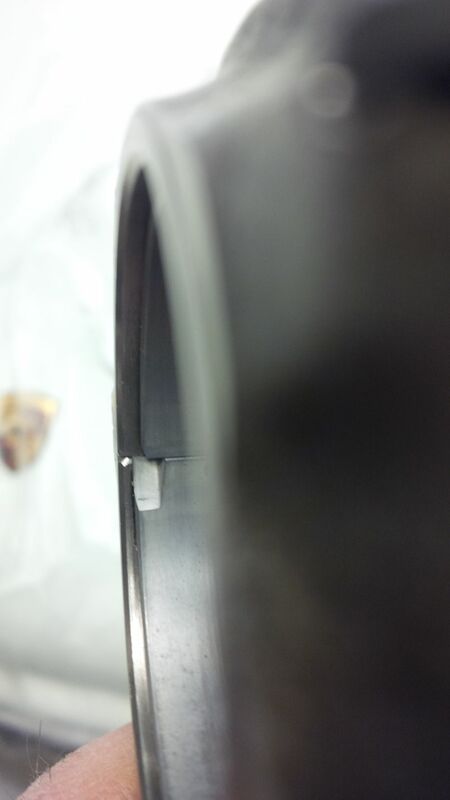 Do not install any third world glyco branded bearing unless you have the ability to do a full fitment and quality check. If you're not able to use a bore gauge and really check them for clearance you're doing yourself a disservice trying to save a few bucks. 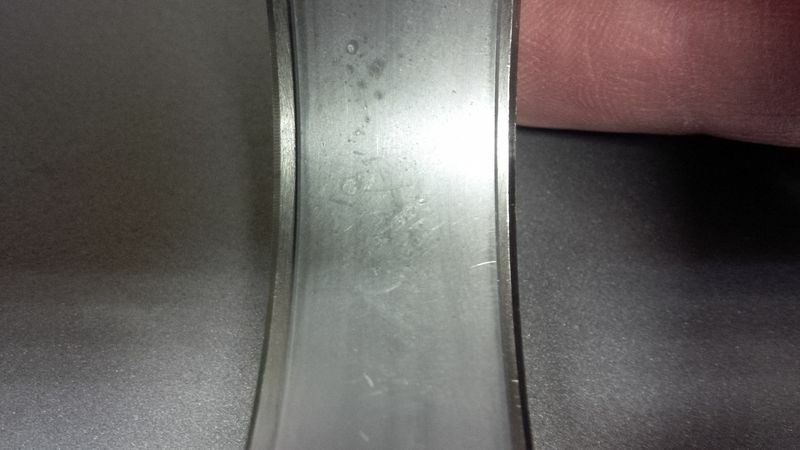 The OEM Porsche branded shells have never been associated with quality debacles, and you can actually see marks on them where they have been through some quality control process. From a quick check it looks like you could get a set of 6 from my local dealer for $250. Well worth the increase when compared to the known quality problems of the low end parts. I posted a bunch of various bearing pictures in this thread. My new #8 was so out of spec on the ID you could drive a Mack truck through it. Ended up coating the in-spec used bearing. You have concluded that the issue was bad dimensions on your first set of replacement bearings? Because the old ones lined up as they should? Did you try 3 sets of Glycos? Or were there other brands tried? 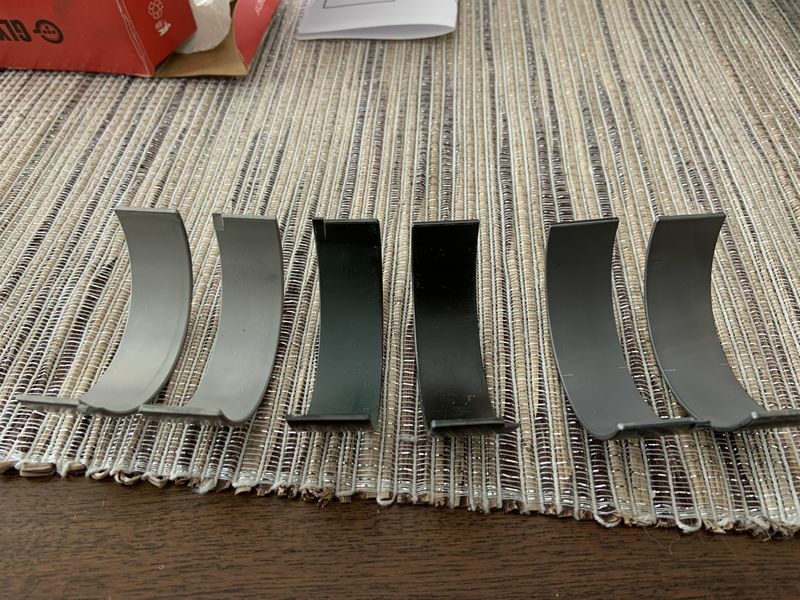 I got a set of Glyco GT3 rod bearings (coated, made in germany), and was really pleased with the thickness measurements. They were consistent and within spec to .0001. I was really impressed. But!!!! I went back and looked for misalignment of the shells as pictured in this thread and find the same thing with mine. To make matters more interesting the Glycos I took out were from 2002 and they have exactly the same width measurement - 17.6mm. Same amount of misalignment. The shell is approximately 1.15-1.25mm too narrow. 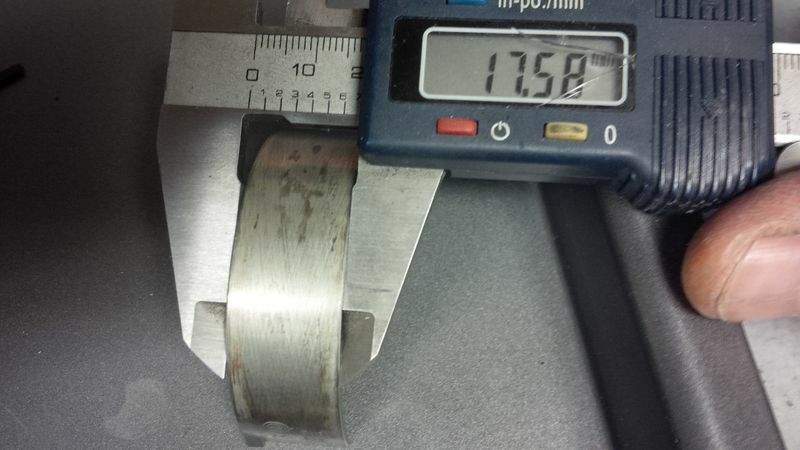 From what I can tell by measuring the bearing shell width should be about 18.75mm. 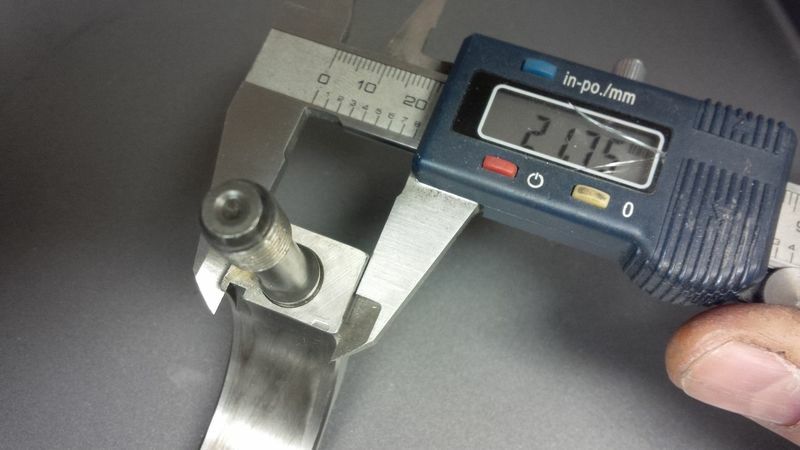 I could not find any specs in any book about bearing shell width, only rod/journal width (22mm nominally). For what it's worth the bearings that came out of the motor look great, even though the misalignment is there. So the big question is, does it matter? Why is this happening? 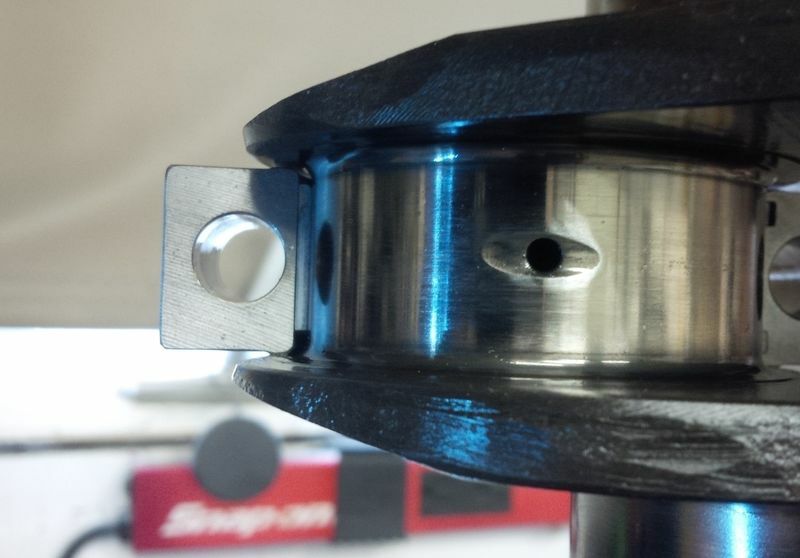 If Glyco is making GT3 bearings for Porsche are they similarly narrow? 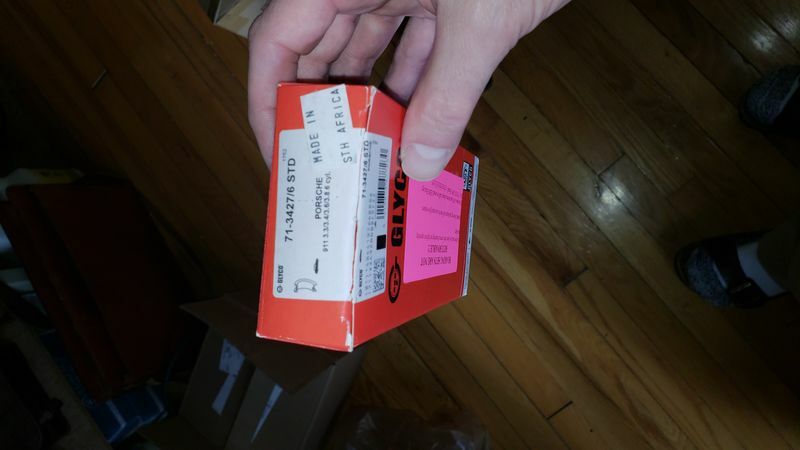 I bought these Glyco GT3 bearings to measure them for size but I guess they are going back, but will the genuine GT3 bearings be any better or different? Last edited by Jonny042; 01-30-2019 at 09:39 AM..
Ok now I'm actually a little concerned. 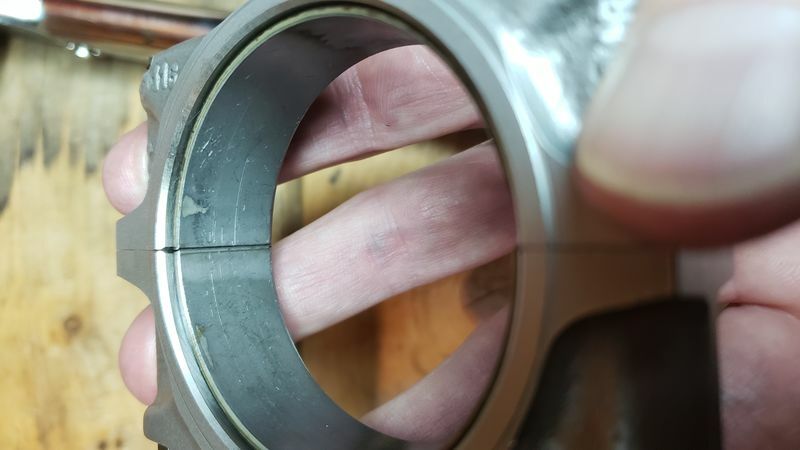 Are these the right bearings for a 1989 911 3.2? I am NO EXPERT, but this bearing package does NOT say they are for a 3.2L engine, correct me if I am wrong. From the picture, I do not see 3.2L listed. It starts with 3.3L, 3.4L, etc., etc.. They are getting sent back as well. Try the mains from the dealer.... NOT cheap, but I'd bet they'll be in spec. 3.2 and 3.3 share the same journals as they are virtually the same engine on the low end. I placed each pair in an SC rod and they all line up evenly in the rod. Sorry I didn't take a picture of the bearing alignment in the rod but you can trust me on this. Thanks again, Kevin. This is a big help. It's shocking to me that both the bearings I removed and the new ones I bought are supposed to fit the SC rods/crank but are "off" by that much. At this point my only option is to order the same GT3 part number 99612194 from the dealer and be done with it. For the rods, at least. 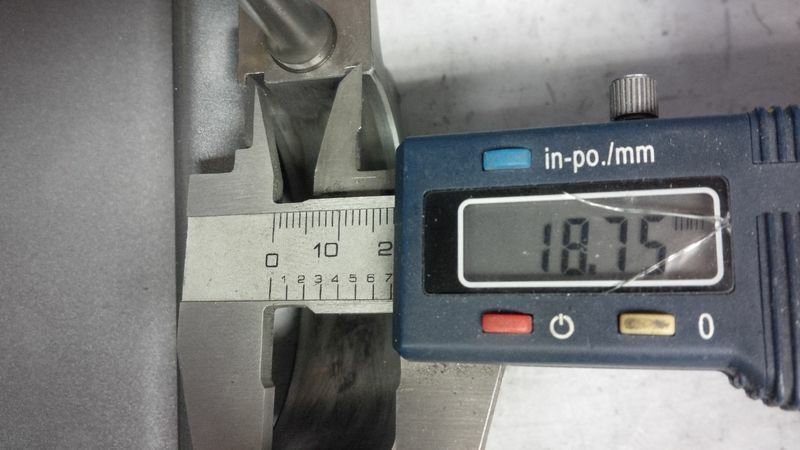 There's a good 14% difference in bearing area due to the width difference, not to mention the force would not be centered along the middle of the journal, causing some side loading. Of course the bearings pictured were installed in 2002 or so and only had maybe 10,000km on them but still. Glad to help and sorry to see your difficulties. I agree it doesn't make sense why the bearing width would be off. Seems like a manufacturing mistake. Once again Glyco aftermarket shows big quality decline? I would say so. I wonder who makes the GT3 bearings (these days)? I'm thinking of ordering a pair of shells to see how they look before committing to the whole 12. I figured I'll get a pair so I can throw them in a rod and easily check for sizing with the bore gauge. I found them for $20/half-shell so that's actually not too bad.